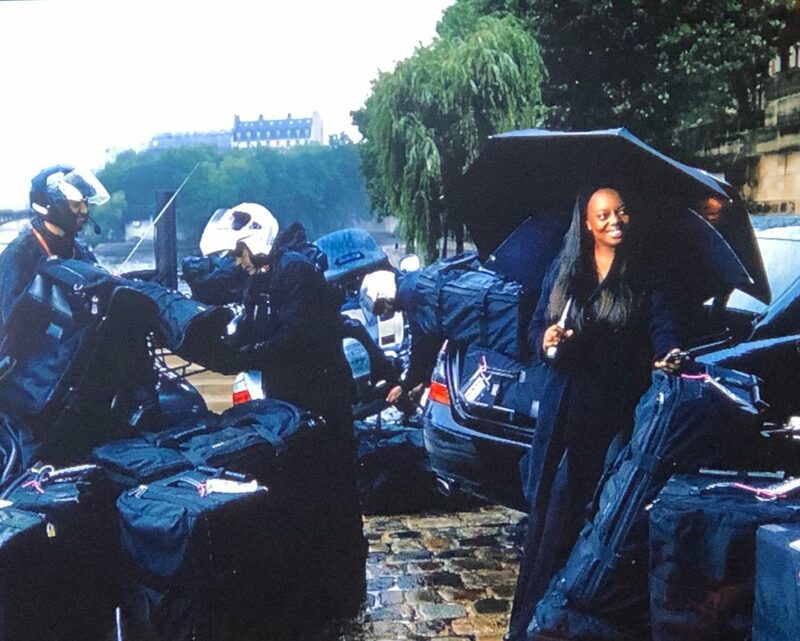 Vogue Magazine has called Pat McGrath MBE, “the most influential make-up artist in the world”. Last week Vogue hosted her for a 2-hour master class event like no other. 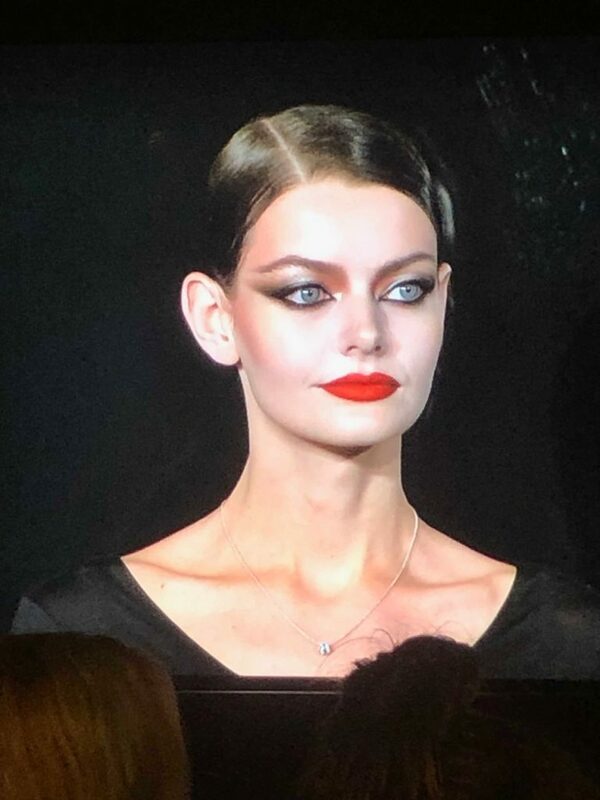 Known affectionately as “Mother”, Pat McGrath has never done a public appearance let alone a make-up master class. Ever. It goes without saying that the Delamar team were effervescing with excitement to attend her first event. 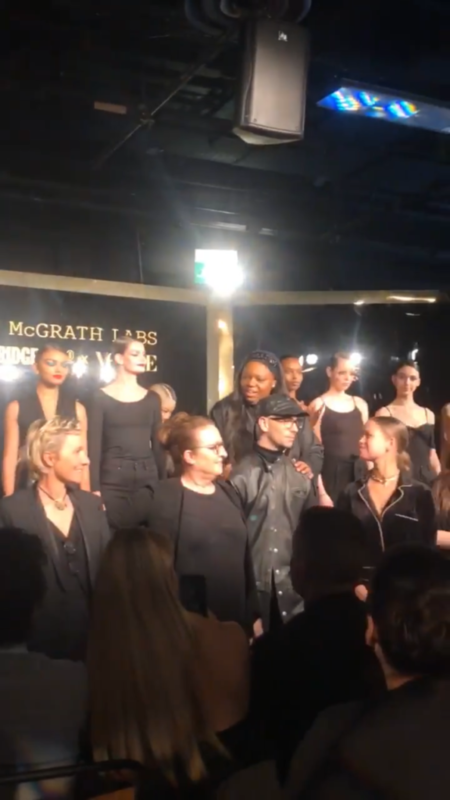 This exclusive audience-with and master class hosted by British Vogue, was to celebrate the launch of her brand, Pat McGrath Labs in Selfridges, London. 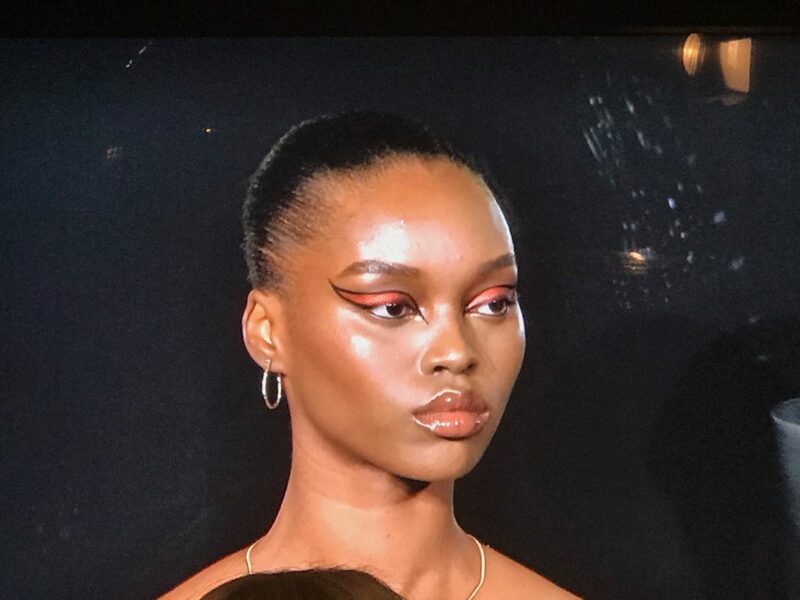 We entered a dark room playing 90’s RnB hits, filled with a hum of well-dressed fashionistas, champagne waiters, journalists and serious make-up lovers… seats were bedecked with Selfridges goody bags full of Pat McGrath Labs products. The excitement in the room was palpable. After receiving an introduction from Vogue Beauty and Lifestyle Director, Jess Diner, Pat floated onto the stage in her Prada black ensemble and classic headband to match. The cheering went on and on. And on. Whooping, standing clapping and more cheering long after Mother had sat down. 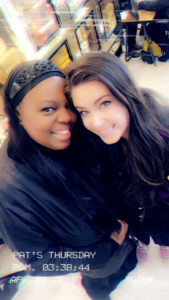 This was the first time Pat had done an event like this, after 25 years of dominating the industry, her presence was strong and she always remained behind the scenes, until now. Pat recounted the day she was working in a clothes shop on the Kings Road, she had not been booked on a make-up job for three months, and she sobbed with the genuine, dawning resignation that she probably wasn’t going to become a successful make-up artist. At that moment the phone rang – it was a job offer taking her to Japan for a fashion show. This opportunity came from someone she had worked for 2 years previously, and this was the start of more opportunities working on fashion shows. Pat bashfully insisted this was no Hollywood version of this moment, but she genuinely had been crying over her failing at the time the phone rang. She spoke about the importance of patience and “little breaks”. When asked about how to “make it”, Pat said it is absolutely crucial to “have love for what you do”, as this love is a genuine passion that other people enjoy working with. It’s not about money or professionalism, but the burning, warm enthusiasm towards the craft of make-up. This is what gets you further than most attributes. After this, Pat said to “JUST GO FOR IT”, not to worry about what other people are doing, ignore the concept of competition and just propel yourself forward with as much energy and passion as you have. It was really special to hear this positive message, applicable to many areas of life in our comparison-culture. Pat told us how she loved feeling scared on a job, she loved the time pressures and that 5 minutes before a show, the hair stylists can still be working on the models and some of them do not have their make-up on! Terrifying and exhilarating! This is where fashion make-up artists learn and grow the most. You are either brilliant or not hired again! Like a gang of Hells Angels, Pat and her team ride on the back of motorbikes between shows. This is not only the coolest way to travel, but cuts out traffic and public transport. On her uniform of #allblackeverything, Pat said she loves to eat carbs and it is the most practical colour to work in. It also makes her feel like Darth Vader with her team of Storm Troopers (her assistants). As a young girl, Pat would wear colourful rags in her hair, bright hi-top trainers and long vibrant dresses. She realised on a job that life was much easier when you wear all black. Her favourite food is Victoria Sponge cake. Pat has several warehouses filled with meticulously itemised boxes of crystals, feathers and every material imaginable, shipped in from all over the world. She has a buyer who sources her materials and a sophisticated inventory system. Her favourite fashion item is a handbag. Pat loves to go shopping and collaborated with many designers for some exclusive fashion pieces sold at The Mothership in Selfridges. We were very lucky to not only receive goody bag at this event, we also received £125 voucher to spend at The Mothership, but not before a selfie and a chat with Mother herself. 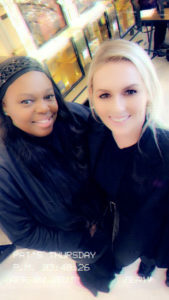 Thank you Vogue, Selfridges and Pat McGrath, we had the best day!